You don’t have to wait until your child gets his or her first job before you open up a checking or savings account! Here at Eastex, we encourage our members to open an account as soon as you can! Opening accounts for your child today can help them learn about savings for the future and managing their money. Eastex Credit Union offers youth and young adult accounts. They are protected the same way your accounts are and are easy to manage. iSave is a program designed for youth 13-22 years old, and gives your child access to their money when they want it. They’ll receive their own debit card (with a parent signature) with a $300 limit, free checks, their very own VISA credit card (must be 18 to qualify) and a 1% off loan rate. In addition, we will teach your child all about how to use a checking account, how to know what exactly is in their account, how to apply for a credit card, and why having a credit card is a good thing when used responsibly. Contributing to a savings account is also an important practice for youth. Even the smallest amount of savings for your child could make the world of a difference for their future. 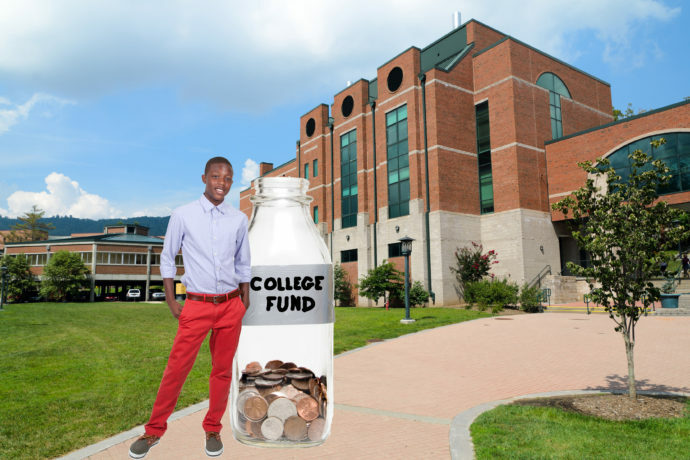 For example, children who have a savings account for college are more likely to actually attend college and even more likely to graduate college! We also host MAD City Money throughout the school year to help you teach your children about financial fitness and gives real life examples of financial management. This type of guidance is important for setting them up for the future with good habits and a better understanding about money. Just because it’s summer doesn’t mean all learning has to come to a halt. Contact Eastex Credit Union today to get started.